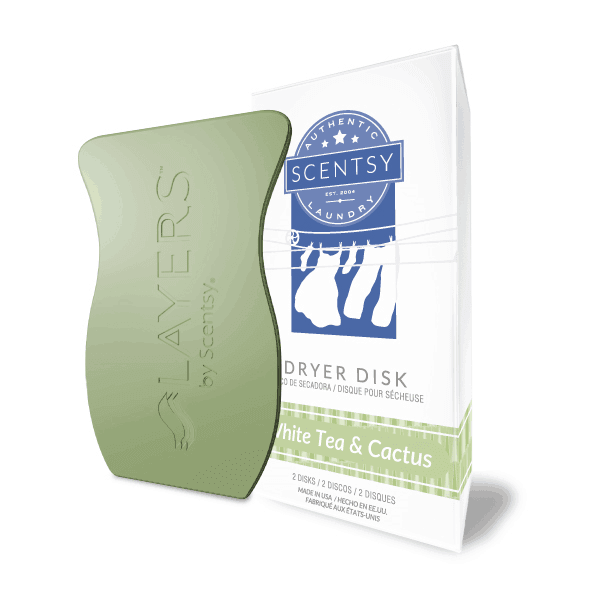 White Tea & Cactus Layers Dryer Disks – Imagine pulling your laundry out of the dryer, warm and scented. Add a Dryer Disk to your dryer and infuse your clothes with scent for up to 15 loads. Pack of 2.